Udon Entertainment kicked off San Diego Comic-Con with their own panel commemorating the artists behind some of gaming’s most popular franchises, and promoting several new and upcoming books. One of their better-selling product lines, Udon’s long-running “Art Of” hardcover books gather together some of the rich concept art, storyboards, promotional works and fan contributions behind numerous franchises; such books highlight Bayonetta, Darksiders and Persona 4– the largest being the massive 600-page Udon’s Art of Capcom anthology. During their SDCC 2017 panel Thursday afternoon, Udon announced new colorized manga collections for Street Fighter and Mega Man, alongside compilations for WayForward’s Shantae saga and Yacht Club Games’s Shovel Knight. Originally announced back in May by developer Yacht Club Games, Shovel Knight: Official Design Works has been pushed back one month to September 2017, however SDCC 2017 attendees could get their hands on an early copy at the Udon booth. The 184-page paperback/soft-cover book includes numerous design documents, animation stills, character sprites and stage artwork, complete with detailed notes from the artists and developers. 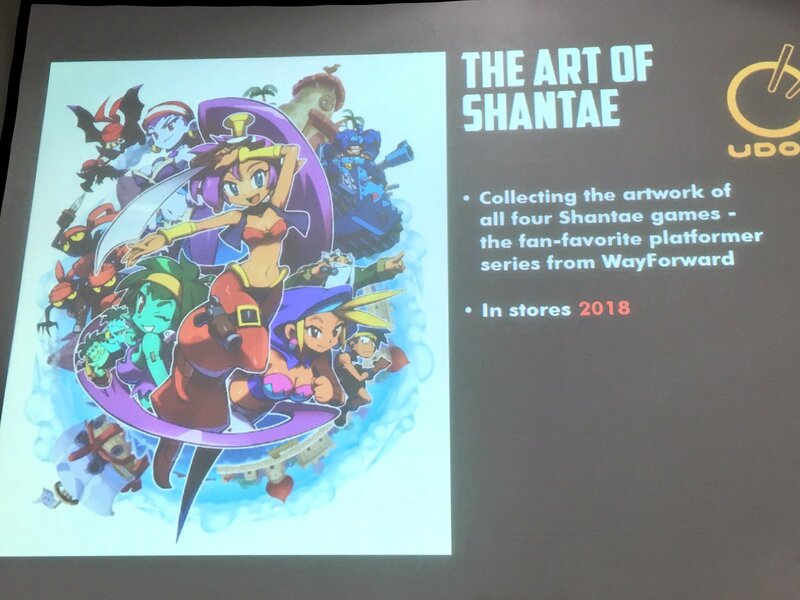 Making its debut this weekend however, was the reveal of The Art of Shantae, coming to stores in 2018. 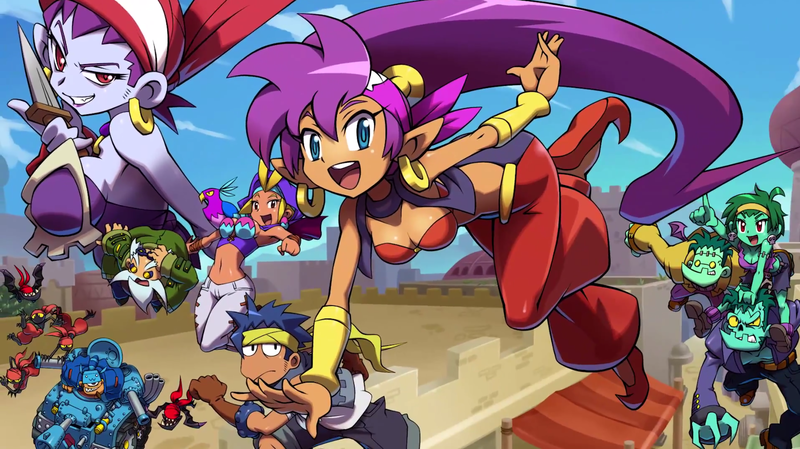 Udon’s Shantae compilation will feature official pieces from WayForward and numerous fan-contributions spanning all four Shantae games from the GameBoy Color, Nintendo DSi and current console/PC generations. The Art of Shantae is not yet available for pre-order, however Shovel Knight: Official Design Works can be ordered from Amazon for $39.99 ($33.22 for Amazon Prime members), and is expected to release on 9/12.